is become a new person. Behold, the fresh and new has come! remembering that the new has come. all the expectation that New Year's Eve holds. yesterday has become part of the old. Can one day really make everything new? fresh revelation about being made new. The Greek word for "is become"
and having the ability to stay new continually. with the concept of "newness." most won't feel the newness a week from now. don't really feel any different from the old. This doesn't feel like a new year. I don’t feel new in Christ today. Feelings don't matter in either case. continuing to be made new daily. Each day, His life in me creates. His created life is new everyday. 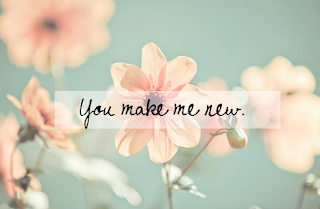 Jesus, You make all things new. 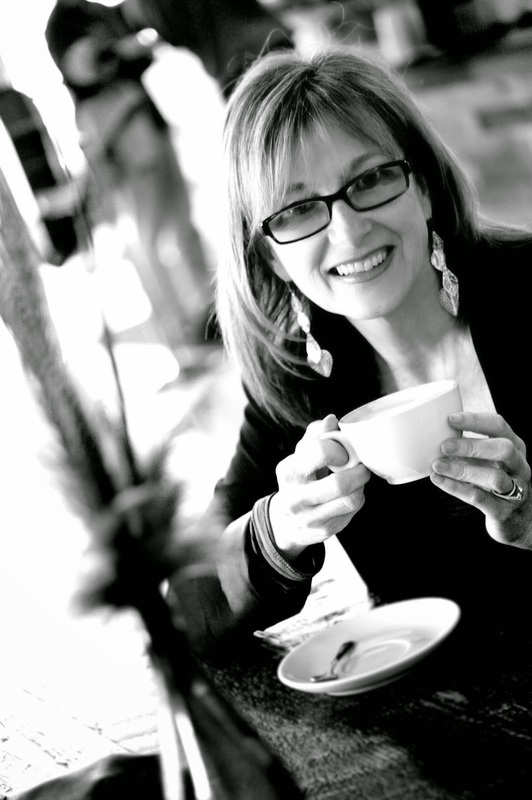 concerning Your creative power in my life. 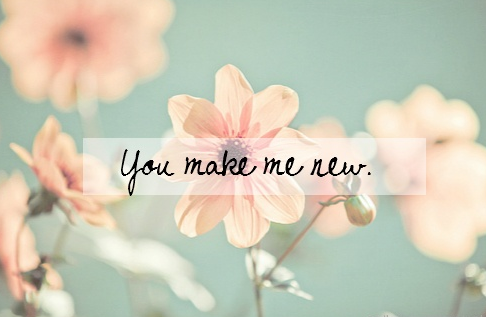 You also make me new. a New Year once every 365 days. life in me every day. Because I am become a new person. The grammar of that sentence matters.